OTONEWS - Japanese automakers, Mitsubishi plans to launch Outlander facelift. 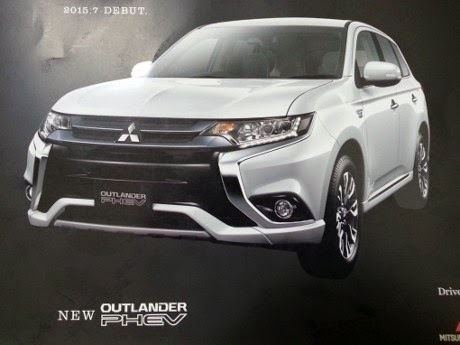 Before officially launched, view the latest Outlander already widely circulating in cyberspace, this time unfolding in the form of brochures. This latest model Outlander will have a new design language with Dynamic Shield and shape of the front bumper X-shaped front view looks more sporty than previous models. Not only that, for the rear lights also get a touch bigger and already uses LED elements and certainly a fresh rear bumper. On Outlander facelift also has been an increase of suspension, engine compartment and cabin voice in a more minimal. Specifically for the Indian market, the Outlander will be available with a gasoline engine for the first time. Not much information is leaked in cyberspace. For more details, let's wait for official information from Mitsubishi. No Comment "Newest Outlander Display"